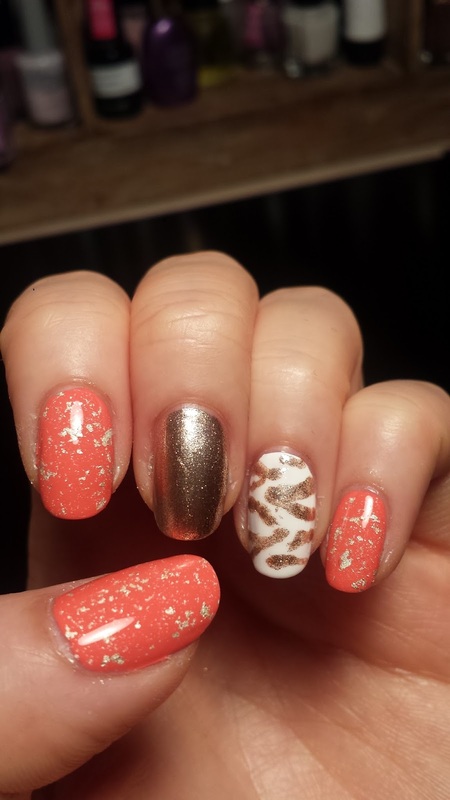 This is a fancy orange and REAL gold zebra manicure! Yes, the gold glitter is real 18K white gold which I will talk more below. 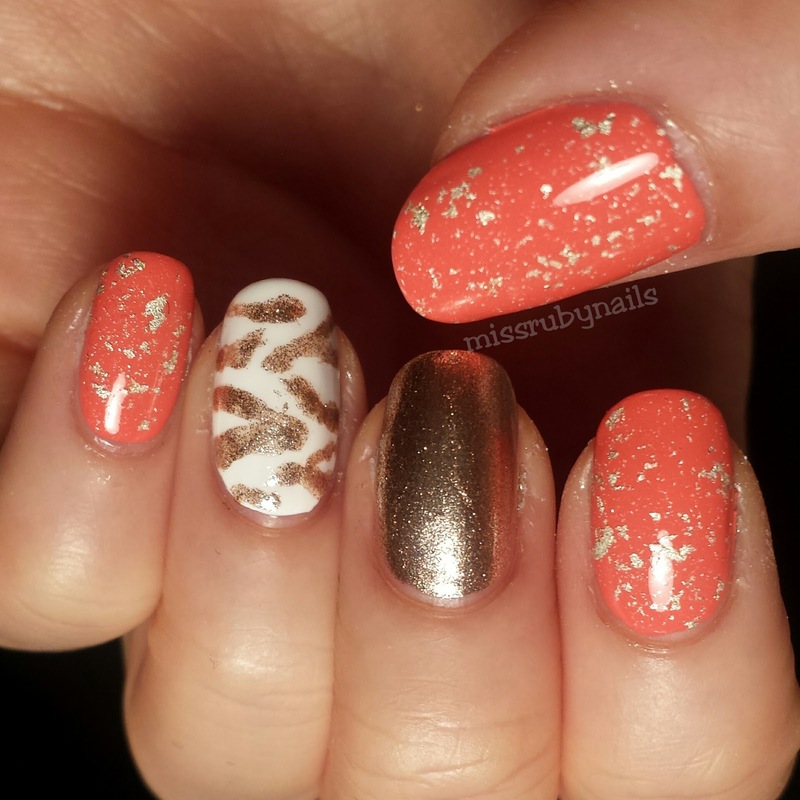 For the base colors, I used a combination of orange, white, and gold. I think using 3 colors gives a nice harmonized combo! 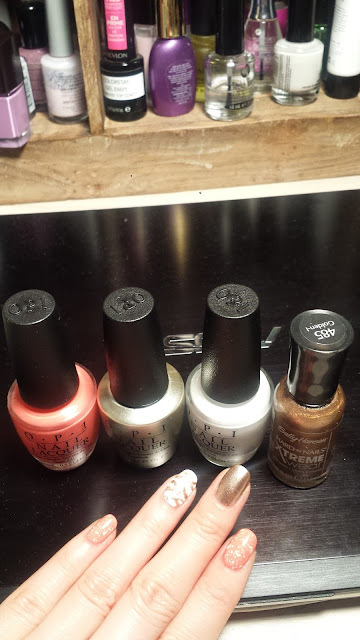 The gold polish was by Sally Hansen and it had a funny change of shade of the exact bottle from the past. Click HERE for a detailed discussion on how Sally Hansen modified the color slightly of the same shade! 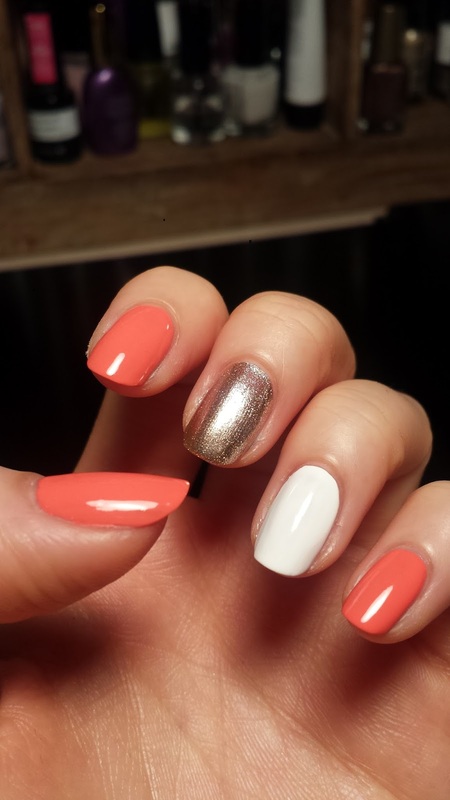 On the orange nail, I used the OPI Mariah Carey 18K white gold glitter polish on top. The glitter in the polish is a combination of white gold in non-uniform sized flakes and silver dust. 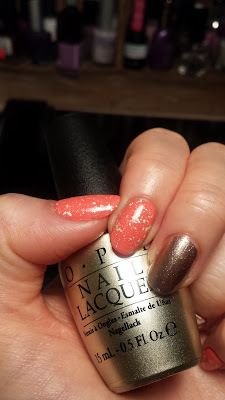 Click HERE for a full review of this 18K gold glitter polish! On my 4th finger, I painted some zebra print with same gold polish I used on my middle finger using a small pointy brush. Like some other animal prints, I did these zebra lines randomly and messily and the overall look would still be nice! Click HERE for another recent zebra manicure!